#16. Twista f/ Johnny P "Emotions"
After Twista came back for the first time by stealing the show on Do or Die's "Po Pimp," all eyes were on the fastest spitter in the Midwest to see what he was going to do next. No stranger to the industry, Tung Twista dropped his first album in 1992—the first-ever release on Loud Records. It was largely seen as a fast-rapping novelty record. Dropping the Tung from his title, Twista returned to the industry in '96 as a new man with a new sound. After the success of his pairing with producer the Legendary Traxster on "Po Pimp," Twist and Trax got back in the lab to try their hand at another record. The result was "Emotions," a song that caught fire instantaneously in the Chicagoland area. 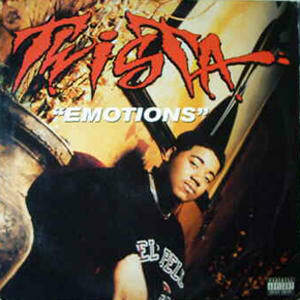 Released independently on Creators Way Associated Labels (CWAL—the label owned by Traxster, Kevin Brinson, and Leroy Burton), the Johnny P–assisted "Emotions" instigated a major-label bidding war for Twista that ended with CWAL landing a partnership with Atlantic Records.